Tonight is a celebration, who is celebrating? 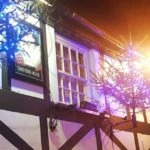 Well tonight is Emma’s 40th birthday party being held in O’Brians Tea rooms in Ormskirk, Lancashire. A place we know well though a first for us in this venue, formerly called the Old Printworks in recent years has had a redesign and is now a busy homemade afternoon eatery and venue. Emma booked us as she had heard the work we had done raising money for Foodbanks and being active on social reform (not to mention a VW Campervan) Emma decided to book us for her entertainment for the evening. Being a local gig for us we had plenty of time to prepare our setlist, load some party tunes up and take our time setting up before the guests arrived. It is a fair size and easily accommodates parties and functions such as this. As we began to put our equipment together, Emma and her husband Paul arrived, we greeted them both and got chatting about the music for the evening and what time to start etc..It wasn’t long before we got on to the conversation about our passion for VW campers and before long had nearly lost track of time, it was time to go on. So with little time to spare we started our first set. As we played we noticed how lovely the décor had been and the little touches Emma had made to make the evening special. 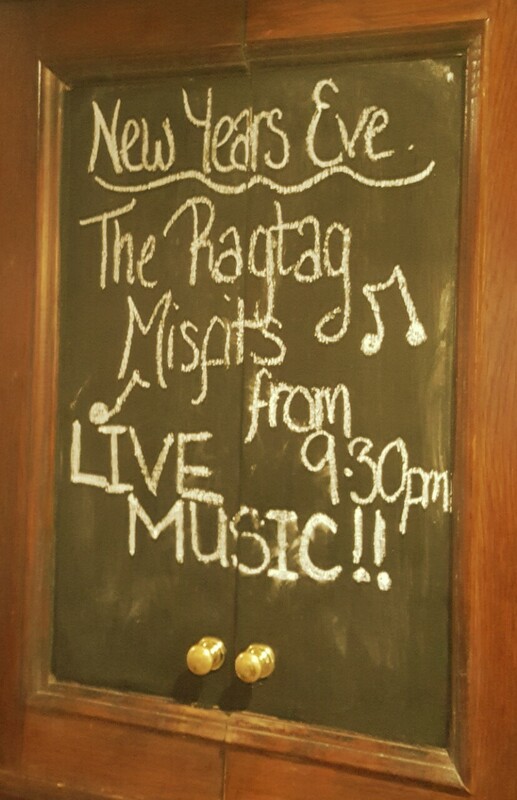 O’Brians Tea rooms is a great venue if your looking to have your party or celebration in Ormskirk and with the Rag Tag Misfits doing their upmost to entertain you have a great evening that can be had by all. It wasn’t long before it was time to announce the buffet and we ended our first set leaving the more dancey stuff until later on. As the guest eat we chatted to Emma about her football coach job that she does and how little she knew about it before taking on the role, like a fish out of water at first, Emma though threw herself into it and enjoys giving kids the opportunity to play a game every week at the local sports ground. After the buffet was served Paul gave a lovely speech to the audience and said some warming and heart felt words about the birthday girl. 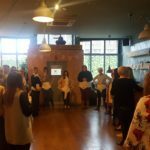 We took over from Paul and sang happy birthday to Emma and her guests before breaking into an upbeat number to get the party started. We ended on a high with the audience fully immersed in the music of 500 miles, participating and joining in, it was great and everyone had a lovely time, including us. Thanks for all your advice and for booking us Emma & Paul, we hope to see you again soon and all the best for the future. Crabbies Grand National – How the time soon comes round, it is only Crabbies Grand National Weekend already. This means it is time for us to swing down to Central station and do a bit of live music for Mersey rail. This year Merseyrail are raising awareness for the homeless via a charity called White Chapel. It is a local charity believing that every individual should be given the opportunity to change their situation. We rocked up just before 4pm for the first day of the Crabbies Grand National featuring Rag Tag Misfits entertaining at Central Station, (that’s a nice title) for Merseyrail. We always have a great time performing for the crowds as they arrive bak into Liverpool to carry on the night. This year saw record numbers of revellers coming out for the weekend and had been blessed with exceptionally sunny weather, you really couldn’t beat it. Unfortunately this year for those travelling via train this month is seems strike actions had been on the cards and for good reason. It seemed there had been some issue with train guards being deployed and the decision to opt not to have guards on trains had been a cost cutting exercise for owners Circo, an unpopular decision had led to strike action on the busiest day of the year for Merseyrail, though the timing of such action was a conscious decision. Luckily for travellers coming into the city from the Grand National in Aintree, additional services had been implemented meaning that we would have someone to entertain. It did seem rather strange at times this year though as no other train services had been running and the station was deftly quiet until the hoards of people came back from Aintree. Still we had a job to do and there had been enough people coming back into the city for us to entertain. By around 6pm we had been joined by a fair few voluntary charity collectors helping to raise funds for Whitechapel. So there we were entertaining away for the next few hours until around 9pm when the last dregs of race goers had finished coming through. The next day was Ladies day and is always a popular day out, with competitions and big money for the best dressed lady, suffice to say there had been plenty of ladies coming back through from the Crabbies Grand National and Rag Tag Misfits had been entertaining everyone before going off to the many local bars in the city centre. Even the Liverpool Echo had turned up to witness the madness and caught a nice video of us entertaining the crowds in traditional Liverpudlian style. It was eerily quiet though just before the bulk of race goers had come back into the station, the strikes were underway and it seemed odd nobody else around in-between. The next day was race day the main event was held back slightly and so we had been sitting around in an empty station for an hour and a half, with just the Mersey rail staff, charity collectors and us, not to mention a few lost people wondering how they are going to get home. By the time the race was over and the first trains starting pulling into the station from Aintree, it was clear the sunny weather, beer and enthusiasm had been preserved. We had hoards of people to entertain a good few thousand people walking by dancing to the music, at the height of the evening we had the station full and a massive crowd around us singing an Oasis song. It seems the Rag Tag Misfits were truly appreciated and a top night had be had by many. We kept the hiuge crowd round us for another song before being totally swamped in the best night we have had for a few years here at Central Station in Liverpool. It was such a shame that the many phones videoing us hadn’t surfaced anywhere online, so somewhere somebody has footage of the enormous crowd we had and has kept it to themselves it seems. It was our turn to play the Kings Arms this weekend, holding regular live music, the pub has a great reputation in the area, and James is a great publican. The Phantong restaurant attached to the pub also works well with Thai food on offer and is always busy on the nights that we have come to play. The last time we had been in Wilmslow was for the Carters Arms, just down the road. Sadly the pub is now unoccupied and the owners have left, sometimes you can try to turn things around and give it your best shot and it doesn’t work out, I think its best to walk away from something that isn’t working than to struggle on. 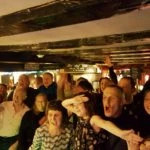 The last gig in the Carters Arms was a bit whacky as some rugby fans had come in being rather rowdy. It wasn’t long before the police had been called on a separate incident involving a known thug who had been previously banned fro the pub and known to the police. As the police arrived they throw the assailant on the floor and pepper sprayed him in the face. Now pepper spray works very well for arrests, but it is a ghastly chemical and when your trying to sing is definitely not good. It just chokes you up and you cannot help but cough all the time. Though this evening was much different, the Kings Arms is a different fish entirely, with a private party going on in the pub and it still being open to the public, a birthday celebration was underway. This was perfect for us, we had inadvertently stumbled across a party that needed entertaining, how perfect was that. 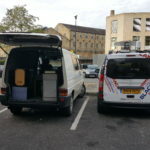 So we asked some chaps could we setup in the space they had been occupying and the obliged by giving us some setup space. The pub was in full swing and the buffet was being served as we played our first few songs. Later on we had the audience in the palm of our hands and the party was in full swing. This was a great occasion and perfect for Rag Tag Misfits to play at the Kings Arms. As the night went on everyone was dancing and the hats that lay hung over the wall had been donned by the audience boogying away. James you missed a good party here at the pub tonight, though Helen was kept quite busy most of the evening and did a great job thanks for having us and we shall see you later on in the year. The Hickory Smokehouse situated on the cusp of the Wirral peninsula is a straight up American smokehouse that offers authentic American smoked and grilled meats and American style beer, it is a cosy casual place that offers true American style service that is second to none. The rag tag misfits had been booked to play Hickories in West Kirkby for the past few months and we have had a great response from the audience entertaining them as they eat meals, provided entertainment to the children and celebrated many happy birthdays from customers who had dined at Hickories for the birthday celebrations. We had a great time playing for Hickories and the staff looked after us and their customers exceptionally well. Thanks for having us these past few months @hickories west Kirkby. Tonight is a double celebration that is Geoff & Stella, Neil & Pam’s double 60th party. The rag Tag Misfits had been hired to provide entertainment for this special double celebration at the Aintree Conservatory Club on Lancing Drive. It is one of the older type buildings that have existed for many years and purpose built to provide entertainment nights such as this. It seems they are steadily declining with some places shutting down and being bulldozed to make way for today’s housing crisis. At least this place was still open for the moment and would be best fit for a double celebration such as this. It is a fair size as well really quite big inside and can easily handle 1650 people. We arrived on time and began unloading our gear, tonight we would be playing alongside a DJ from TK Entertainments, one of the best DJ’s and entertainers you get book. With all the latest and greatest lightning and projection for your photos of the evening sorted, it was time for us to do our bit, that is Live Music for the party. We set up our gear on stage and cranked up the volume just about reaching the back at sound check though adequate enough to get people in the mood for the dancing in the second half of the set after the buffet. It wasn’t long before we had the audience on the dance floor and Geoff, Stella, Pam and Neil had been really greatful for our services. We ended the night off in style with some upbeat Mowtown classics and a bit of Chuck Berry following nicely as the crowd formed a circle for Rolling On A River, classic partying. At the end of the set we handed over to TK ENTertainments DJ who finished the night off for them until close at midnight. All in all a good solid party backup up by some nice live music from Rag Tag Misfits and TK Entertainments. Thanks for booking us and all the best for the future. Our first foray in the world of baby showers. A long time tradition in the USA this will be a first for us. It seems along with most of the American lingo as well as certain calendar events have come over here as well. With Black Friday madness, thanksgiving, MY BAD, get lucky and now baby showers. This was a moment to be celebrating though for the lovely Stacy & Sarah. One of the happiest and content couples we have ever met. The baby shower event for Stacy and Sarah was for their new addition to the family. It was time to kick back and celebrate with cocktails, baby games and live music. The venue of choice is the very bohemian and hip Tribeca on Berry Street in Liverpool. We arrived early thinking we had plenty of time to set up. But the guests also started to arrive early. Panic set in slightly and we quickly brought the gear in and started to set up. The electric socket was no where to be seen. First rules of setting up, find your spot, find a table for the mixer and find your power. We hunted and hunted and had to harass a bar lady eventually who was really helpful and assisted us with finding the mystery plug. It was stashed behind one of the huge wooden benches. We had to ask four lovely ladies to stand up while we plugged in. Its quite handy to have plugs away from the public. In some venues you may get the odd Neanderthal thinking its funny to flick the switch half way through a song. This wasn’t the type of event where this would happen and luckily its never happened to us. But with my brain hard wired for mischief it sometimes crosses my mind. Parking in Liverpool is always a nightmare. L uckily the bar staff offered us parking in their private off road car park, an extremely helpful life saver. I must mention at this point how helpful and friendly the staff are at Tribeca. Its a lovely venue and it was our first time here. This is not the first gig we have done for Stacy and Sarah. They have fantastic taste and always choose a quirky venue with lots of character. It soon became apparent that this was to be an all girl thing and I think Andy was feeling rather special by this point. We talked about the running order for the event. It seemed there would be lots of fun and games. Also present was the beautiful Karen and Pauline, we performed at Karens wedding a few years ago and have remained friends since. 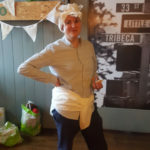 With a competition of who can put a nappy on the doll the quickest whilst blindfolded (the person not the doll) and a game where a nappy had to be made out of toilet roll and placed on a friend. Then there was the best play dough baby model and a baby song quiz. 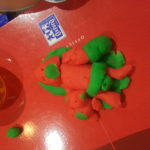 It was very creative and everybody in the room was smiling. This was a celebration of a new life and with parents as imaginative as these two, you can see a bright future for any baby. It was really funny, in fact it was one of the funniest gigs we’ve done. Performing “Those were the days” with 40 or so ladies wearing nappies and watching them dance like Russians was absolutely brilliant. No other males in sight, this was a full on girly party and they did it in style. We started playing some upbeat tempo material to get things moving and got into the spirit of the day, it was going rather well and everyone was happily enjoying themselves. The live music provided an additional feel towards the day and suited the vibe of the afternoon. We thoroughly enjoyed our afternoon celebrating with Stacy and Sarah. Huge thanks for having us and we wish you all the love, joys and happiness with your baby. 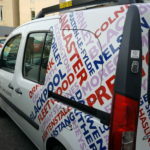 Live Music on BBC Lancashire. 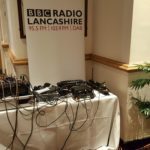 A couple of months ago we were contacted by BBC Radio Lancashire and asked if we’d like to perform some live music at one of their road shows. 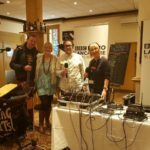 They were planning to broadcast the show at Burnley Mechanics and asked us if we could perform live on air during the breakfast show with the lovely Sally & Brett. Obviously It was a big fat Yes. With over 200,000 regular listeners we will be there with bells on our toes (or a tambourine in my case). We would love to have the opportunity to promote our own music and update the region on our current whereabouts. So before the sun was in the sky we hit the road to make our way to Burnley, East Lancashire. It’s an impressive place once inside; being a mid 19th century grade 2 listed building and former theatre it was oozing with history and character. Now though it is a modern multipurpose venue & bistro equipped to handle a few hundred people. Artists such as Danny Baker, G4 and Soul Legends are currently advertising on the line up. As we entered we were met by a cheery Chris who we have met before. A wonderful man; in fact no he is a sound man and does a great job of the technical side of things. He strives to perfect the sound for the live artists and the station, he’s a credit to the industry and the BBC. As Sally & Bret were broadcasting live we had to creep about a bit on our tip toes with our fingers and arms stretched out as far as possible. Imagine how a pheasant would walk if it were in human form. As the station played some music we said our Hellos and chatted about the schedule for the morning. We discussed how many songs they we would like us to do, what we would talk about and obviously the wedding and living in the van. After Chris set us up we waited for the previous interviewee to finish up. We were quickly introduced and began to play our first song. As Chris had an iDevice with him we were able to broadcast live via Facebook. A first for us, this provided our loyal fans to see how a radio show works behind the scenes. A few technicalities meant we were broadcasting live and then it broke. Ahh the joys of modern technology. Its safe to say it wasn’t a server crash due to the millions of people watching our live broadcast. Unfortunately the live recording didn’t have enough sound on it. It was a bit of a learning curve for us. So as the broadcast went live we had our first interview with the lovely Sally. 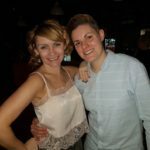 Chatting about the wedding, the high and the lows of planning and also about making home in the van. You never get to say everything you would like to as time is always of the essence. The interview lead us nicely into the next song. We played around 4 or 5 original songs, and on our last song we must have gone slightly over as we were been cut off. Ooops. It meant our performance lead straight into the news without any farewells from Sally & Brett. Timing on a radio show is crucial. They measure it by the second. They insist you give them exact timings of your songs. So if you say, “Yeah it’s 3.30sec long” they calculate just enough time to lead nicely into the next topic. I think I put an extra break in the last song taking it over by approximately 10 seconds. Not very professional I know but once your in the singing zone concentration occasionally slips. Lesson learnt. Massive thanks to Sally, Brett and Chris and all at BBC Radio Lancashire and Burnley Mechanics for having the Rag Tag Misfits on the show. We are so very grateful of your ongoing support and the opportunity to showcase our story and music to the listeners across the region..
W e received lots of positive comments from our listeners and have been asked to return when our next album is out in 2017. Live Music in the Lakes – As it customary each year we are invited up to Hawkshead to play at the Queens Head in the Lake District. The biggest party of the year comes right at the end. The mother of all parties. The gig is the night that most musicians, bands or artists are gigging. The amount of enquiries you get for a new years eve gig is incredible. I wish it was new years eve every day so we could by that house in the hills we’ve been looking at. Panicking to secure bookings enquiries for hotels, parties, pubs, bars and clubs up and down the country flood in. 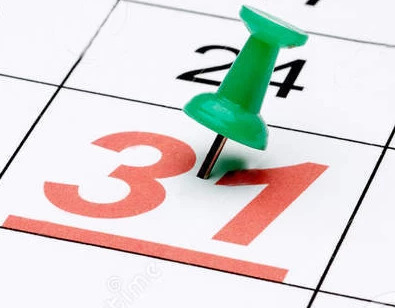 Some booking in months and months in advance, just to get the band or artists they want. We were actually offered gigs from London to Scotland. Our gig at The Queens was booked last January so it was almost a year in advance. It’s a big compliment to know you’re appreciated that much with such an advanced booking ahead of time. We do however always get the party going and its always our pleasure to perform here. The Queens Hotel always offers a warm welcome and is always more than happy to help. The food is delicious and there is a great atmosphere in the air. To be honest I don’t think New Years Eve would be the same anywhere else now. The people are so friendly and they always look after us. So it is New Years Eve. Curling tongs up and down the country are fired up in preparation for the perfect look one desires. Accidents can happen with these things. They are 200 degrees+ and as demonstrated by myself on this Eve do burn you and…..they burn you very well. Agggggggggggggghhhhhhhhhh. With a burn mark the size of a ten pound note on my neck and still a successful attempt at curling my hair, it seemed I was facing second degree burn. It hurt so much. Emergency procedures at the ready; First aiders? OK stand by; emergency protocol vectors; standing by. Well in fact it was a cold flannel and some used tea bags that did the trick. Well enough to do the trick and reduce the effect of the burning that happens afterwards. 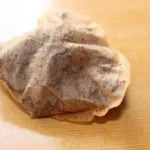 Cold teabags really do the trick thanks to Andy and his quick thinking app called Google. It turned out to be quite effective and very soothing. Accompanied with an ice pack it works quite well. I did however need to hold our homemade cooling teabag pack against my neck on the entire drive up to the Lake District. I took a couple of painkillers and tried to disguise the mark. As we drove north up the M6, teabag in hand with the cold air and window open to cool the burn down, we arrived about 2 hours later at the pub. When we arrived we were shown to the staff quarters by Nish; yes that’s not a spelling mistake. He told us that he believed there was a spelling mistake on his birth certificate and said he thinks he was meant to called Nick. Nish told us the name stuck and his parents were quite enlightened by his exotic new name. Nish is a nice guy, and has a great aptitude for doing his job as. He possesses a natural valour in seeing to customers needs and could work in any high class restaurant in the world. As he showed us to the room in what he describes as the penthouse suite he said it poses the best views of the lakes. That bit he had spot on. But the room was at the top of the double stair case right next to another room in the staff quarters that we would find out later would be a bit noisy. Nonetheless we were indeed grateful for him showing us up and indeed the use of the room was marvelous. It was soon time to have a quick homemade butty and head back to the pub to set up the gear for the nights entertainment. It was a fairly relaxed affair, not too many people, a nice sizable audience who were still in the delicacies of fiddling with their chicken breast. So onwards and upwards it was time to get started. We broke them in slowly and would be performing until the early hours so there was plenty of time to build the party up. We started playing about 9.30pm and were to perform 3 sets. Two sets before midnight working them up nicely with the grand finale at 12am. 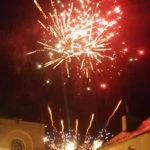 The music is paused for a while just before midnight and everyone in the village goes outside to watch the firework display. Our lovely friends Arthur and Dahnell came to see us and it was good to see a few other familiar faces. Last year’s fireworks were hit by the flooding and fizzled out resulting in a damp squib. This year we are happy to announce the fireworks went off with a big BANG. The countdown began and there was a big cheer. The show was amazing and enjoyed by all with lots of ooohs and ahhhhs. They really were booming and popping this year it was as the Americans say Awesome… It was a fantastic display so well done to everyone at the other end lighting those sticks. After the big bang came the kisses and cuddles and it was time to dash back in the pub and get the whole audience singing Auld Lang Syne. We started it off as a slow ballad and then upped the pace until it was a falsetto version in which everyone could dance to. It got faster and faster with the drum until people couldn’t keep up. It was a really good laugh. After the celebrations took place we played for another hour until we had to call it a night at just after 1am, leaving the crowd wanting more. We finished with my best Scottish accent on the classic 500 miles. The whole pub was bouncing as we all sang in harmony. It was fair to say that everyone enjoyed themselves and had a “Top Night” it was a job well done. We received many compliments and a few gig enquiries. 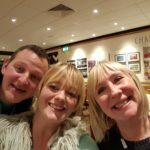 Afterwards we packed down the gear and carried on celebrating…. Having finished the gig it is tradition to visit the King’s Arms across the road. Owned by Ed, a big tall chap who runs the pub and runs it well. We said hello to him and he kindly bought us a drink each in honour of our wedding in the summer. He told us he was hearing many great things about us that night. He said people were coming in the pub and telling him about the live band on at The Queens. Hawkshead is such a small village and everyone knows everything about everyone. As we were finishing our drinks we saw Nish who was now off duty. Since it was getting quite late we were about to head off. He then gave us an ultimatum. Nish informed us he would be serving breakfast in the morning and if we want any we shall have to do some shots with him now. Saddened by the thought of being denied any breakfast we obliged. He came back with a very large shot of Black Sambuca each. We necked it simultaneously, and it was enough…. Although I did get another half to wash it down. He then kept us amused with stories of the scenes behind working in the hospitality trade. What I like about his conversations is the fact that he doesn’t moan he just makes a funny tale out of situations. He doesn’t talk about people behind their backs, he just gives you examples of things that have happened in a bright and refreshing way. Full of banter and a top bloke. It seems throughout his life he has experienced some very funny Fawlty Tower moments. He had us in stitches….funny guy. His tales went on till the very early hours as it dawned on us that he would be in charge of our breakfast and what a delicious breakfast it is. 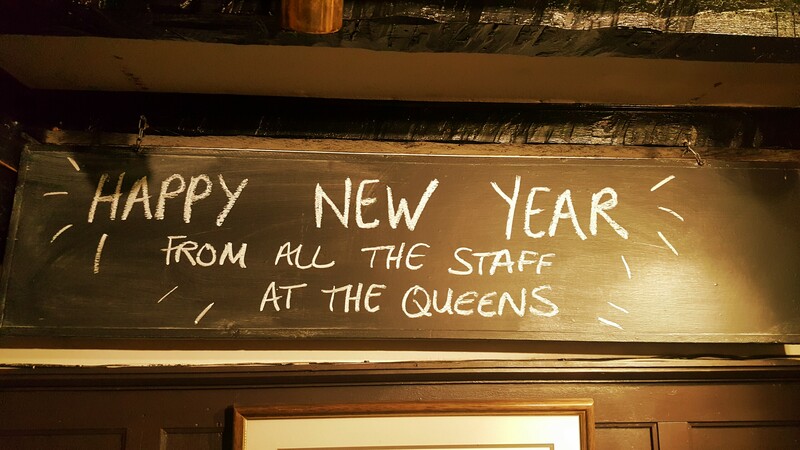 Huge thanks to all the staff at The Queens and to Jane, Val, Nish & Annie for looking after us. A big shout out to our lovely audience for your cheers and happiness and for helping to make this New Years Eve a success. Happy New Year and have a great 2017, hopefully we’ll see you all again soon.